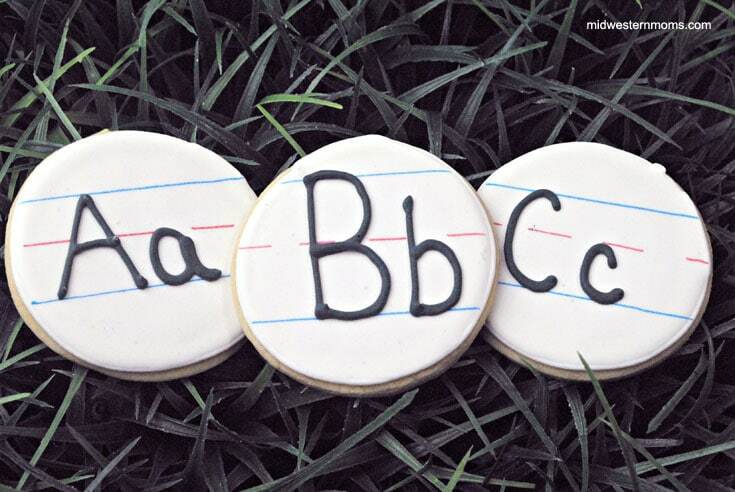 Handwriting Sugar Cookies perfect for back-to-school! School is going to be starting soon! I can’t believe it! My oldest son will start Kindergarten this year. I am not sure I am ready for him to go or not. Guess I will have to be, right? 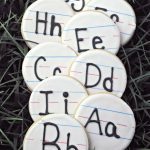 I thought these handwriting sugar cookies would be the perfect back-to-school treat for a Kindergartner. A few special things you will be needing: a circle cookie cutter, red and blue edible food markers. 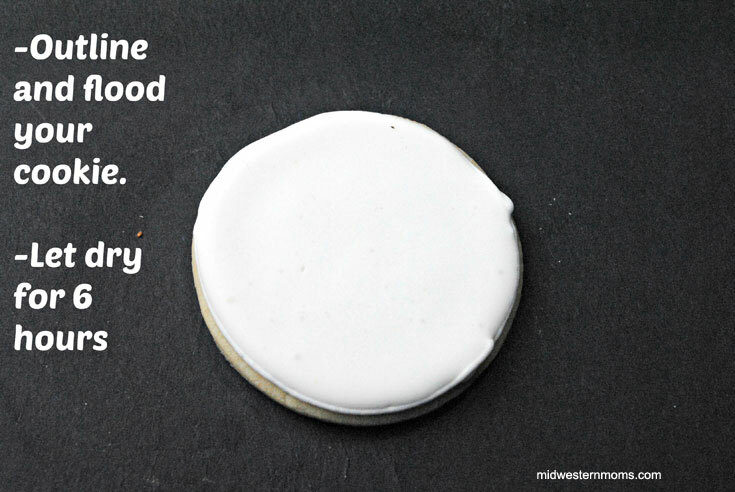 After your cookie has completely cooled, start by outlining the circle with your icing and then flooding it. You will need these to dry for a full 6 hours before you can move on to the next step. 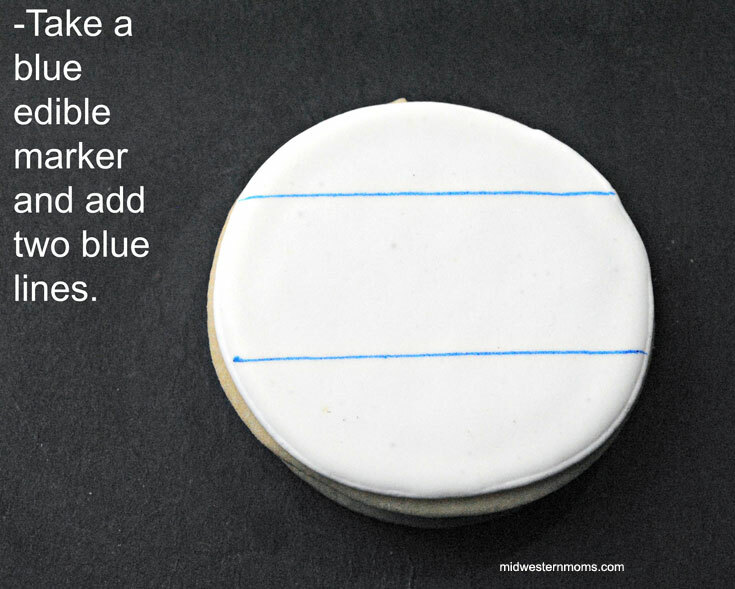 After the icing has dried completely, it is time to draw on the blue guidelines with the edible marker. 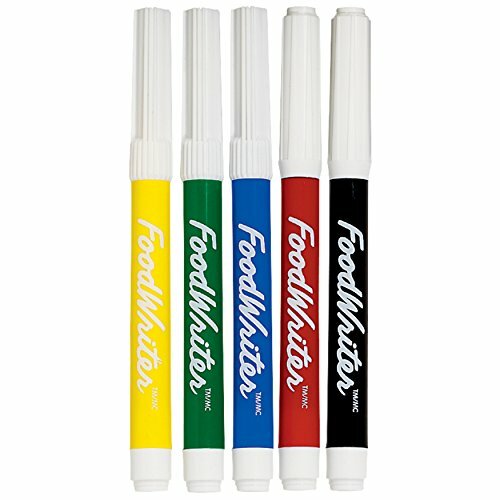 Then add the dashed red lines with the red edible marker. After the guidelines are completed, you can pipe on the letters using black icing. Aren’t they cute! 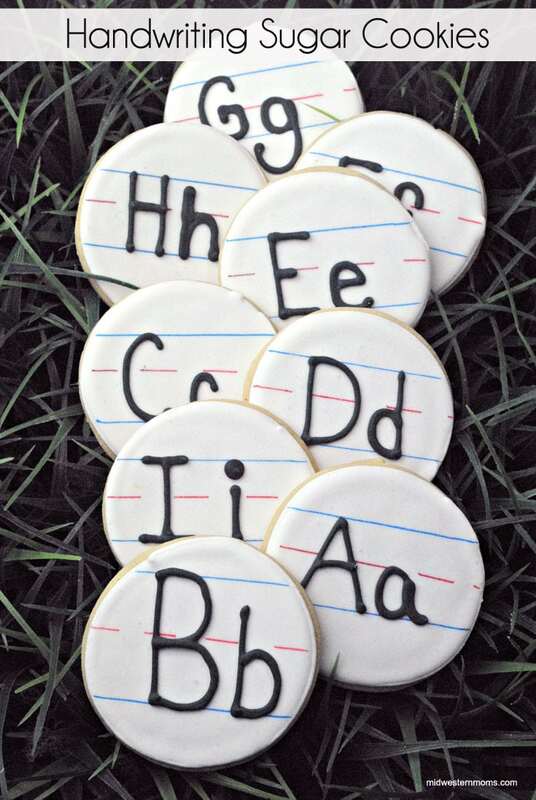 Super cute handwriting sugar cookies perfect for back-to-school or teacher gifts! Add the vanilla and continue mixing together. Put flour out on a flat surface, rub flour on a rolling pin, and if needed, work some flour into the batter. Roll the dough out and using the cookie cutter begin to cut out the cookies. Take the cookies off of the cookie sheet and put on a wire rack to cool completely, about 10 minutes. Scoop some white icing into a piping bag with a number 2 tip. Scoop some icing into another bowl and add a few drops of black food gel. Scoop some icing into a bag fitted with a number 2 tip. Pipe on a white outline with the white icing bag, fill in with the thinner white icing. Let the cookies dry, for at least 8 hours in a cooled oven before drawing on the lines and adding the letters. 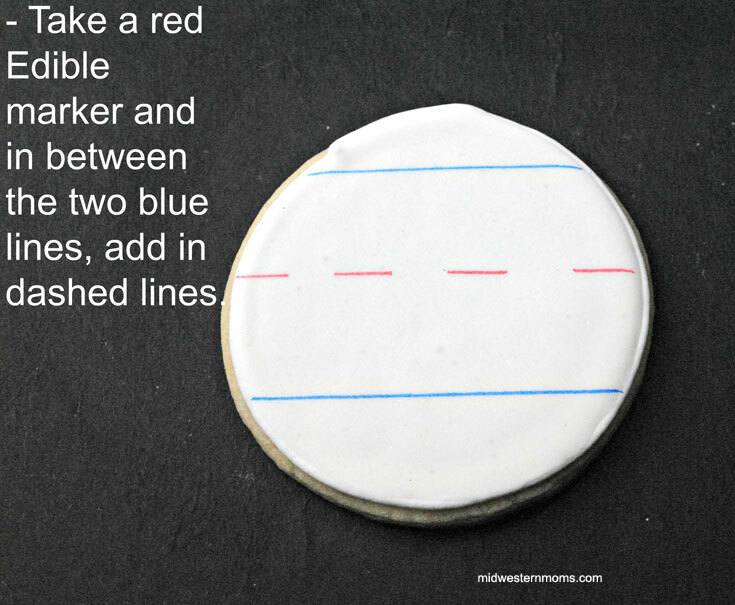 Using the edible blue marker, make paper lines as well as with the red marker. Using the black icing, pipe on letters. Let dry for 2 hours before bagging, should you decide to bag them up for gifts.